Mike is a founding member of Azimuth. His areas of specialty include water supply, ground water and surface water geochemistry, and contaminant hydrogeology. In addition to his corporate administrative role, he primarily acts as a senior scientist for hydrogeological and servicing-related projects and has over 25 years of experience as a consulting hydrogeologist. Mike has completed more than 50 landfill design and monitoring projects across Ontario, and approximately 400 well impact evaluations on behalf of the Ministry of Transportation. Servicing-related projects involve the assessment of potable water and sewage treatment opportunities for a proposed or existing development. Mike has completed approximately 40 of these projects at a wide variety of sites. DAVID R. KETCHSON, P. Eng., M.A.Sc. David’s experience as a professional engineer includes over 35 years specializing in contaminant mitigation and water resource evaluations. He continues to provide oversight on engineering design work for both communal servicing and municipal solid waste and provides technical support for most of the landfill projects conducted by Azimuth. David is Board certified and has successfully provided expert testimony and third party reviews on hydrogeologic principles for several Class A, below water aggregate resource licensing applications. A Senior Hydrogeologist with Azimuth, Colin has 15 years of experience specializing in hydrogeology and environmental sciences. His consulting experience is broad and encompasses field components, report writing, project management and liaison with applicable regulatory authorities. He has completed many projects ranging from landfill operations, approvals and environmental monitoring, Permit to Take Water (PTTW) applications and other contaminant investigations. Colin is project lead on all landfill jobs and has experience with more than 40 landfill sites performing ground water, surface water and gas monitoring, drill rig supervision, packer testing, reporting, project management and database development & management tasks. Colin has completed numerous well claim investigations for the Ministry of Transportation as well as Phase I/II Environmental Site Assessments (ESA) and work at existing contaminated sites for the Ministry of Environment and Ministry of Transportation. JACQUELINE S. COUGHLIN, B.A.Sc., P. Eng. Jackie has over 15 years of experience as an Environmental Engineer with a scientific background in contaminant hydrogeology, wastewater/ water engineering design, evaluations, and inspections. 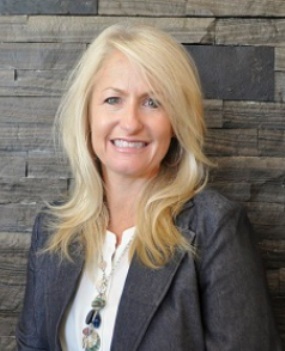 Her areas of expertise include planning and the design of private sector waste facilities and communal potable treatments systems for vegetable processing facilities, private resort developments, golf and country clubs, campgrounds, and rural housing developments. 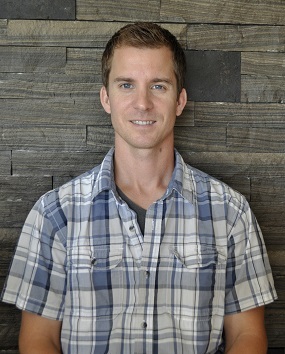 Matt has over 15 years of consulting experience with a focus on aquatic biology. He performs fish sampling and aquatic habitat assessments to acquire environmental approvals from regulatory agencies for numerous projects, many of which include the completion of mitigation, restoration, and compensation plans. 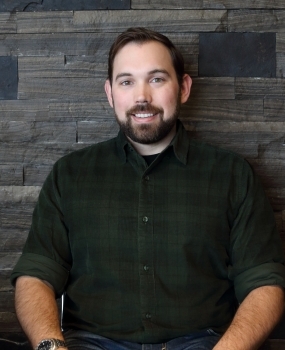 Matt also leads Azimuth’s environmental inspection during construction team and has provided onsite monitoring for large scale construction projects throughout Ontario. Matt holds a Certified Inspector of Sediment and Erosion Control (CISEC) certification, in addition to successfully completing the MTO/DFO/MNR Fisheries Specialist Training Course, and has detailed working experience acting as an MTO RAQS qualified “Fisheries Assessment Specialist”, “Fisheries Contracts Specialist” and “Environmental Inspection During Construction Specialist”. Sara has over 20 years experience specializing in fisheries and aquatic habitat assessments, environmental impact assessments, biological inventories, fisheries assessments and evaluation of ecological system for land development projects requiring Environmental Impact Studies /Natural Heritage Evaluations, and Environmental Assessments. Sara's experience includes projects requiring environmental input and review for Class EA's, preliminary and detail engineering designs, tender preparation, and environmental monitoring both during project implementation, and post construction for agency approval compliance. Sara is MTO RAQS qualified “Fisheries Assessment Specialist”, and “Fisheries Contracts Specialist”, and is currently managing the environmental components of the Highway 407 Phase 2 East for natural heritage disciplines including, fisheries, wildlife, species at risk, wetlands and vegetation, hydrogeology, and contaminant and waste management, for the duration of the contract. 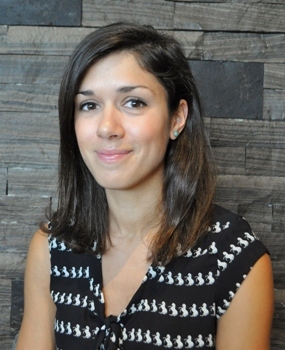 Alexa is a graduate from the University of Toronto (Ecology and Evolutionary Biology) and Queen's University (Education). She joined the Azimuth team in 2016 and has been involved in completing Species at Risk Assessments, Environmental Impact Assessments and Tree Preservation Plans. She has experience conducting terrestrial and aquatic environmental inventories and completes construction monitoring to ensure compliance with regulatory agency approvals. Alexa is certified by the Province in Ecological Land Classification for Southern Ontario, Ontario Benthos Biomonitoring Network and Ontario Stream Assessment Protocol. Brad's experience is diverse in the field of Environmental Science. He has successfully completed environmental field investigations related to both Hydrogeology and the Natural Environment. His field experience includes: supervising drilling programs; environmental monitoring and sampling (groundwater, surface water and soil); soil exploration and characterization; aquifer testing and analysis; and terrain, vegetation and environmental constraints mapping. He is a graduate of Royal Roads University (B.Sc. in Environmental Science) and Georgian College (Environmental Technology Diploma), where he developed his core knowledge of the environmental industry. He has been a contributing team member on various Hydrogeological and Site Servicing Studies, PTTW/ECA Applications and Monitoring, Phase I/II Environmental Site Assessments and Aggregate Resource Development Projects. 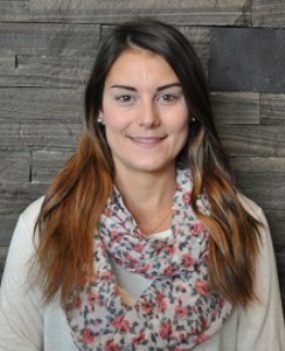 Cassandra specializes in fisheries and aquatic habitat assessments. 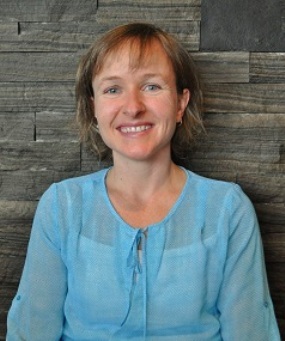 Her primary duties include the completion of Natural Heritage Evaluations (NHE) and Environmental Impact Studies (EIS). Her duties involve extensive field investigations to document existing site conditions, develop mitigation strategies, and obtain environmental approvals from various regulatory agencies (e.g., Conservation Authorities, DFO, MNRF). Cassandra holds a Class 2 Backpack Electrofishing certificate and often leads fish salvage operations. Lastly, Cassandra is well experienced in conducting benthic macroinvertebrate and water chemistry sampling in stream environments. Dan has studied a diverse set of flora and fauna through natural heritage assessments, Species at Risk assessments, academic research, ecological restoration, and environmental monitoring. 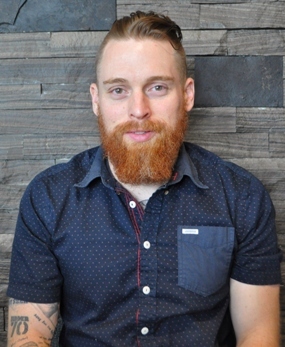 He is a graduate of the University of Guelph and holds a certificate in Geographic Information Systems from Mohawk College. 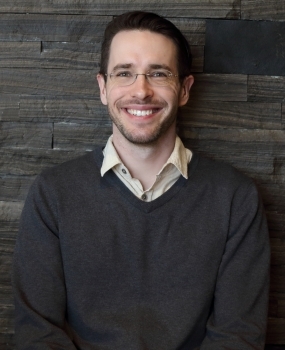 Daniel’s primary duties at Azimuth include the implementation of Class Environmental Assessments, Environmental Impact Assessments, and Natural Heritage Evaluations for the acquisition of Municipal, Provincial, and Federal environmental approvals. Daniel is also the lead terrestrial ecologist on the Highway 407 East Phase 2 provincial highway project. He is responsible for carrying out records reviews, participating in agency consultation, the development of field programs, data collection, data processing, and synthesizing technical reports. He is proficient in the identification of upland and wetland vascular plants and plant communities (including specialized habitats and rare communities), and in the identification of wildlife including mammals, avifauna, and herpetofauna. Daniel is certified by the Province in Ecological Land Classification for Southern Ontario, the Ontario Wetland Evaluation System, and is a designated Butternut Health Assessor. David has experience studying a variety of flora, fauna and ecosystems through a combination of ecological surveys, monitoring, restoration, research, and inventory work. 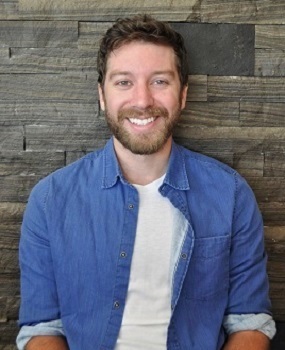 He is a graduate of the University of Guelph where he studied biological science, with particular focus on environmental biology, especially pertaining to insects and plants. David is a recent addition to the Azimuth team and will be involved in a variety of projects including class environmental assessments, environmental impact assessments, ecological monitoring, inventories and surveys, and restoration project evaluation. Much of his time will be dedicated to work supporting the Highway 407 East Phase 2 provincial highway project. He is proficient in the identification of upland and wetland plants, birds, reptiles and amphibians, and has surveyed for/worked with a variety of rare and endangered species. He has a particular interest in entomology and insect identification, specializing in butterfly, dragonfly and damselfly biology and identification. David is experienced in the implementation of Ecological Land Classification (ELC), for which he is certified by the Province of Ontario. Drew specializes in hydrogeological/hydrological field investigations and monitoring programs. Duties include the completion of subsurface soil and ground water investigations, including drill rig supervision, soil and ground water sampling, soil classification, ground/surface water level monitoring, slug/percolation testing, well/aquifer pump testing and stream flow measurement/monitoring, Permit to Take Water applications, water balance assessments, septic suitability assessments and residential/municipal water supply studies. 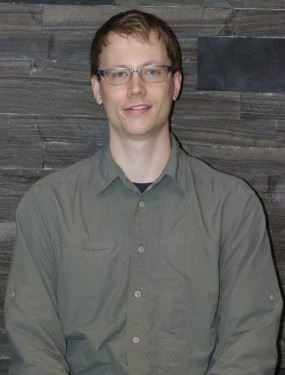 Drew is also a Certified Arborist (ISA) and Butternut Health Assessor (MNRF), Drew’s practical experience has involved projects that have required knowledge in forest management, forest measurement, tree inventories, tree health assessments and tree preservation plans. IAN ACHESON, B. Sc. Env. Ian is specialized in physical and contaminant hydrogeology investigations and monitoring programs. He is a graduate of Royal Roads University and holds a Diploma in Environmental Technology from Georgian College. His experience includes a variety of remediation practices associated with brownfield sites impacted with industrial wastes. Since joining the Azimuth team, Ian has been involved in Permit to Take Waters (PTTW) applications, Phase I and Phase II Environmental Site Assessments (ESAs), and landfill monitoring and reporting. 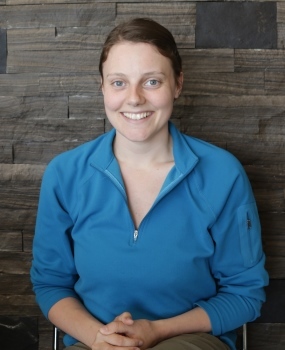 Jennifer received relevant training in the form of a Bachelor of Science Degree in Environmental Science from McMaster University and a Masters Degree in Water Resources Engineering from the University of Guelph. She specializes in hydrogeology and environmental earth science. Her work experience encompasses projects requiring expertise in hydrogeological investigations, evaluation of ground and surface water systems, impact assessment and development of management and/or remediation measures as they relate to the use of water supplies. Jennifer has also completed numerous Phase I / II ESAs, Permit to Take Water applications, landfill ground water leachate monitoring and annual report production. She is a registered Practising member of the Association of Professional Geoscientists of Ontario. Jesse has considerable experience with AutoCAD and GIS programs. He supports staff with their drafting requirements, creating base maps and aerial mapping for all Azimuth projects. In addition to drafting, Jesse also helps to maintain the IT department for the company. Jim specializes in the completion of environmental impact assessments to acquire approvals for development. Tasks include gathering of background information, completion of field inventories to define existing conditions, assessment of the potential for negative impacts to sensitive terrestrial and aquatic natural heritage features and functions including habitat of Species at Risk, evaluation of policy and regulation conformity - through the writing of impact assessment reports and follow-up on review agency comments. Jim is experienced in the application of natural heritage policy and regulation as conveyed through Ontario’s Provincial Policy Statement, Regional and Municipal Official Plans, Ontario’s Endangered Species Act, 2007, etc. and has appeared at numerous Ontario Municipal Board hearings/mediation sessions as a qualified ecologist. Jim is certified by the province of Ontario as a Wetland Evaluator and Butternut Health Assessor. His 35+ year career is evenly split between wildlife research conducted on a number of species for the Ontario Ministry of Natural Resources & Forestry and most recently, environmental assessment work conducted for the private sector. Lorna provides the Azimuth team with administrative and accounting support. Her duties include overseeing project start-up, processing all project billing, preparing various monthly project reports, management of Accounts Payable and Accounts Receivable. Lorna also administers the company group benefit plan, processes payroll, confirms adherence to company policies and protocols as well as assisting with Human Resource matters. Lisa has 14 years of experience specializing in terrestrial wildlife ecology. Her experience is broad and includes complete Project Management on projects requiring expertise in biological inventories of amphibians, birds, wildlife and vegetation, evaluation of ecological systems, impact assessment and development of management measures for Environmental Impact Studies. Lisa has performed work on municipal road repair/expansion projects, large-scale residential/commercial/industrial development, individual lot severances, linear corridors including pipelines and water mains, site restoration, natural heritage studies within larger planning areas, storm water planting plans and naturalization plans. With a focus in aquatic ecology, Mike has 6 years of ecological monitoring and restoration experience through work ranging from the boreal forest to urban shorelines and coastal wetlands. A recent addition to the Azimuth team, Mike will develop and conduct fisheries studies, and provide construction inspection services. Scott has worked in consulting, resource management, education and stewardship roles in the ecology field for over 30 years. 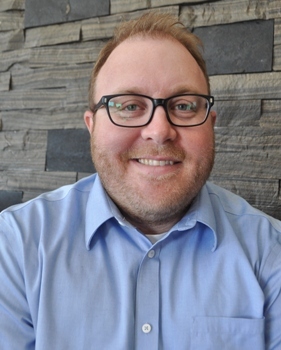 Having worked in the private sector, for provincial and national parks and other agencies, and for NGOs, Scott has developed the capacity to work and communicate with all clients and agencies at the highest levels. Beyond completing Environmental Impact Assessments and Natural Heritage Studies, specialties include botany, birds, reptiles and amphibians, many Species At Risk, and ecological restoration and naturalization, focusing on habitats including forest ecosystems from Carolinian to Mixed-Woods to the Boreal north, along with wetlands, and dune, alvar, and prairie grasslands. 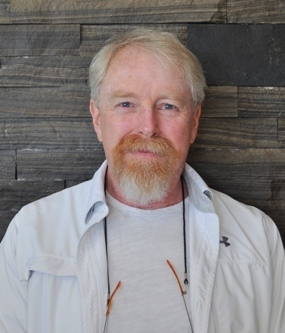 Scott is certified and fully experienced in Ecological Land Classification, Ontario Wetland Evaluation System, as a Butternut Health Assessor, and as a Certified Seed Collector. 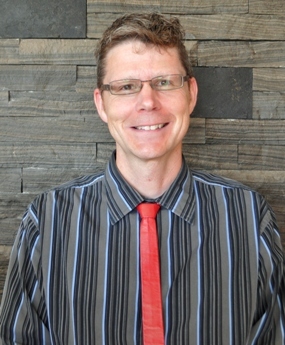 DR. SCOTT TAROF, PhD, MSc, HBSc. Dr. Scott Tarof is a highly-trained Senior Terrestrial Ecologist with expertise in behavioural ecology, conservation and molecular genetics. He joined the Azimuth team in May 2016. At Azimuth, Scott manages a diverse project portfolio including Environmental Impact Studies for private landowners, municipalities and construction companies, and Natural Heritage Evaluations on properties on the Oak Ridges Moraine. 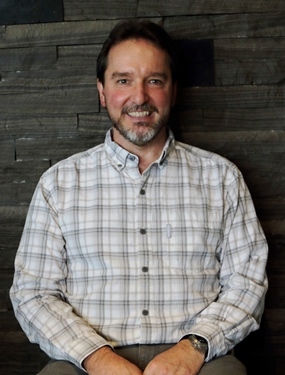 Scott brings to Azimuth 15 years of experience in university research, teaching, project management, business administration and client stewardship. Scott is also a passionate educator and teaches university courses part-time involving habitat restoration, biophysical monitoring and soil geochemistry.